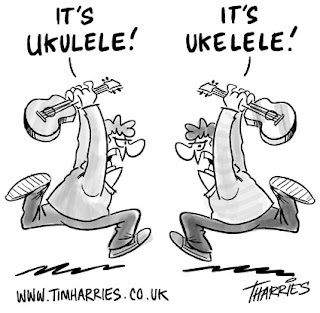 Tim Harries ukulele cartoons - love em! 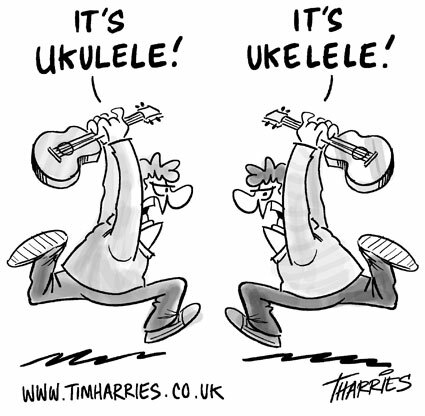 A little while ago, I came across the UK Cartoonist Tim Harries. 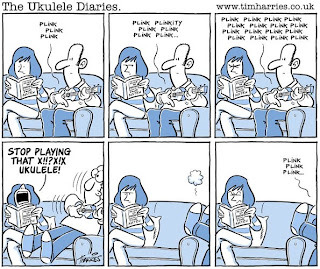 I think his work is great, and imagine my delight when I found some ukulele cartoons! 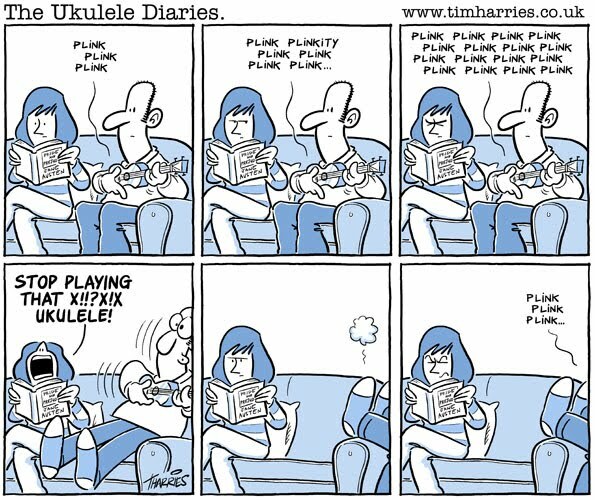 Tim is a well known cartoonist, and has had his work published in the New Statesman, Punch, the Sun and the Star. 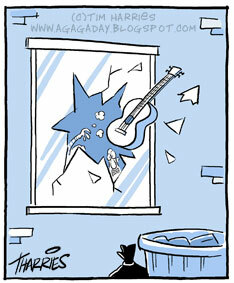 Added to which, he is also a strummer!